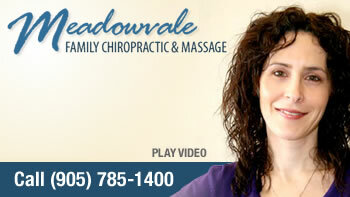 As Mississauga chiropractors, we take pride in offering the most complete chiropractic resource in our area. It is our mission at Meadowvale Family Chiropractic & Massage to offer the best chiropractic care and to help individuals with their health goals whether it is for relief or wellness care. It is our goal to optimize the health and well-being of all our patients from infants, mother’s to be and the elderly. At Meadowvale Family Chiropractic & Massage we want to educate the people of our community on the benefits of ongoing chiropractic care and massage in order to function to maximum health potential. We’re looking to help Mississauga-area residents who value their health and want a chiropractor who offers peace of mind. Ready to get started?